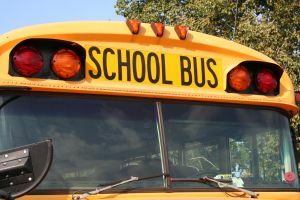 Alabama 8 Year Old Elementary School Student Struck and Killed by School Bus: Did Bus Driver Follow Proper Procedures Set Forth in the Alabama Commercial Driver License Manual? In Florala, Alabama, an 8 year old elementary school student was killed when she was hit by her own school bus. The child exited the bus and then walked in front of the bus. According to Florala Police Chief Sonny Bedsole, it appeared that the school bus driver did not observe that the child got off the bus because the child may have exited off at the wrong stop or the wrong time. See Alabama 8 Year Old Killed At Bus Stop. School bus drivers in Alabama are required to have an Alabama Commercial Driver License. The Alabama Commercial Driver License Manual has a special section that covers School Bus Drivers and Proper Driving. As stated in this manual at Chapter 10, Section 10.2 – Loading and Unloading, more students die while getting off or on a bus each year as compared with those that are killed in the school bus. The manual points out that it is vital that school bus drivers what how to drive and respond to situations before, during and after loading or unloading students on a school bus. Pursuant to the Alabama Commercial Driver License Manual, there is a specific section on Unloading Procedures on the Route located at Chapter 10, Section 10.2.3. This section states that school bus drivers shall have the students remain seated until told to exit. Then, the school bus driver should check all mirrors. The school bus driver is also required to count the number of students while unloading to confirm the location of all students before leaving the location. It would appear that this section may apply to the facts of this case. The school bus driver should have made sure that all students were seated before they got up to exit. If the 8 year old student got off at the wrong exit or at the wrong time, this may not be relevant if this section applies to the facts of this case. It could be argued that the school bus driver should have been aware of the students who exited the bus as well as the students who remained on the bus. Pursuant to Chapter 10, Section 10.2.3, a school bus driver must account for students outside of the bus. If a school bus driver cannot account for a student outside of the bus, the school bus driver, per the manual, is instructed to check around and underneath the bus before proceeding further in the route. A full investigation will be conducted by the Florala Police, the school district, and / or other entities to determine the details of this tragic death and what measures could have been taken to prevent this death and / or other incidents of a similar nature from occurring in the future. More information and provisions applying to school bus drivers and safety can be reviewed at Alabama Commercial Driver License Manual. 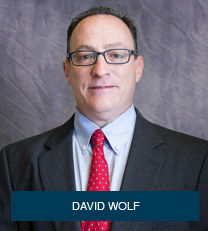 If you have a specific question about a child injury in Alabama or other States, contact a Child Injury Lawyer for consultation, advice, and legal representation as to the rights of the injured child and the parents.